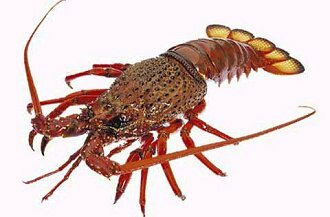 The commercial fishery for Southern Rock Lobster is based mainly in Victoria, Tasmania and South Australia. 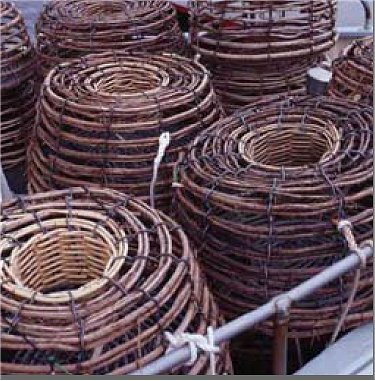 The lobsters are caught in wood, cane or steel pots baited with whole fish or fish heads. Pot shapes vary from beehive to square and rectangular. The entrance to the pots is on the upper surface. Pots are set in water up to 200 metres deep on suitable sea beds. Approximately half the Southern Rock Lobster catch is exported, mainly to Japan, Taiwan and the United States of America. 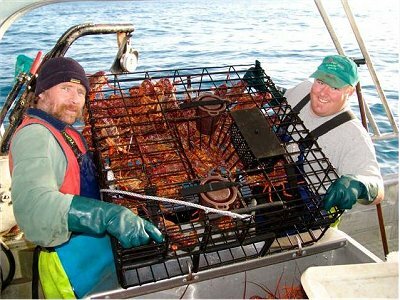 Tasmania’s rock lobster fishery is managed as a single zone with commercial catch currently harvested from all areas around the State at an annual rate of approximately 1.6 million animals. Rock lobster processed in Tasmania is exported to the mainland or directly overseas as live, fresh product. Export of live product has increased dramatically since the late 1980s, while exports of cooked product have declined. Size To 200mm carapace length. The lobster is harvested by skilled fishermen from boats around the entire Tasmanian coastline. After harvesting, the premium lobster is carefully processed through operations that are meticulously controlled to ensure the very highest standards of health, hygiene and quality, to ensure that product reaches its destination in perfect condition and in line with customers requirements. The Tasmanian rock lobster fishery has been sustainably managed for over 120 years and has been an important component of the State’s fishing industry for over 150 years. Throughout that time fishermen and their boats needed to be licensed. From the 1884 fishermen were required to observe a minimum size and to fish only in prescribed seasons with specified gear. Since 1926 the number of traps that could be used from a boat was also limited. Following World War II fishermen began to build bigger boats and use the most modern technology to find and catch lobsters and as a result landings increased. In 1967 the number of fishing licenses was limited to restrain excessive development. However fishing pressure soon increased again as more sophisticated technology was introduced and in 1998 individual transferable quotas were introduced under a total allowable catch, while size limits, limited entry and gear restrictions were also retained. Stocks have already rebuilt under these new regulations and the future of the fishery is very secure. 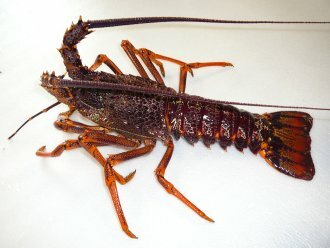 Above is photo of Packhorse Lobster - – Jasus verreauxi, which is only found in NZ & eastern Australian waters.